He said the airline would bear all the expenses for at least one week for the families who decide to stay in Beijing or leave for Kuala Lumpur, Chinese state-run newspaper People's Daily reported. 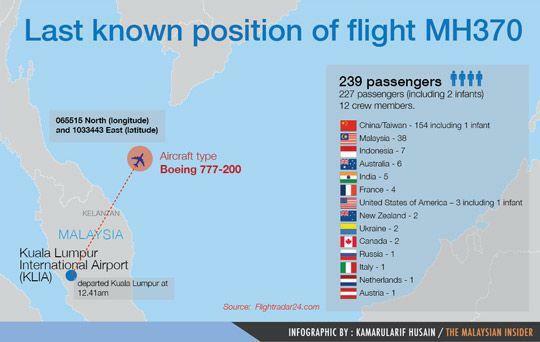 It has been more than 48 hours since MAS Flight MH370 went missing while en route from Kuala Lumpur to Beijing. Immigration on facilitating their visas. The national carrier was deploying an additional aircraft to bring the families from Beijing to Kuala Lumpur on 11 March 2014, the statement said. – Bernama, March 11, 2014.